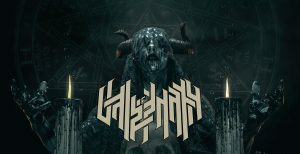 Coming on May 17th is Vale of Pnath’s compact but very impressive new EP “Accursed”. With only 5 new songs and two intros, they definitely prioritize quality over quantity, delivering blistering energy and speed infused in very well balanced and cohesive songwriting. Probably the best thing about this release is the fact that despite the short run time, it is not only satisfying but also very diverse and it comes together as a whole very well. It feels complete and it really doesn’t lack anything. First off, instrumental skill. If you have any complaints in this department you’re a total maniac. Not only do they have full control at ludicrous speeds but they know how to use their high level musicianship to add to the music in a relevant way, as opposed to just making it difficult to listen to. The drummer handles any tech-death required technique like blast beats and relentless double pedals with mathematical precision and he has these incredible sudden shifts in pattern that always catch you off guard. Plus, he has a playing style that gives the music a very engaging pace which, despite its complexity, will easily draw you in. On the guitars, all riffs are brilliant, pulling off a lot of groove and melody as well as speed and intricacy but what really stands out about the guitar work are the few solos. Despite flashing out with shredding hyperactivity, they flow in and out nicely, don’t overstay their welcome and fit in the song very well. There are also brief moments reminding of black metal as a result of the visceral tremolo picking noise that they occasionally integrate in the already very diverse arsenal of creative weaponry. Another star of this album is the bass, delivering crazy, dynamic and inspired lines, often coming forward more than the guitars and giving a lot of substance to the sound to really hit you in the gut. Putting all those together comes round to more tech than anyone could ask for. Everything here sounds really tight and somehow very sharp in a way that every time they “hit” you it’s more like a sting than an impact. The production is definitely the main cause of this really sharp sound, adding a lot of tone to the instruments and making them sound somehow screamy while still balancing it out with the low frequencies. And it does more than that. Not only does this EP have very good sound but the mix is also directed to bring forward the intended atmosphere. And they have one of the most creative ways of building that atmosphere. You probably just need to hear the intro in order to get completely immersed into what this music is trying to express. With the marching metallic strikes and the deep, fuzzy background noise, this thing sounds menacing and evil even before the first note hits. And apart from the digital effects there’s always this eerie presence in the subtle orchestrations that spring in from time to time. Add one of the very few vocal performances in tech-death that I actually liked and you’ve got yourself an album that sounds mechanized and infernal at the same time. Putting layers upon layers of ungodly screams, the “Accursed” EP mutates into an evil demonic entity that’s just the stuff of nightmares. Not only does the guy deliver corrosive, inhuman screaming but the way his vocals are processed makes it even more unreal. Pushing the vocal forward most of the time but also making it sound distant and echoing in certain moments and giving it a distinctively robotic substance is what made this final high-pitched noisy element fit in their sound spectrum and make sense. Vale of Pnath will certainly not disappoint and I expect this release to draw in not only tech-death fans but also those who are keen on more straightforward stuff because despite it’s intricacy, versatility, progressive twists and complex shape shifting songs, this thing really hooks you and hits you in the face. They even add some “metal clichés” with djent style riff slicing in “Obsidian Realm” and a pinch harmonic infused breakdown-ish riff towards the end of “Specter of Bone”. They just offer everything a tech-death release needs with a big splatter of originality on top. This is certainly the best tech-death I heard in 2019 and probably some of the best I found altogether. 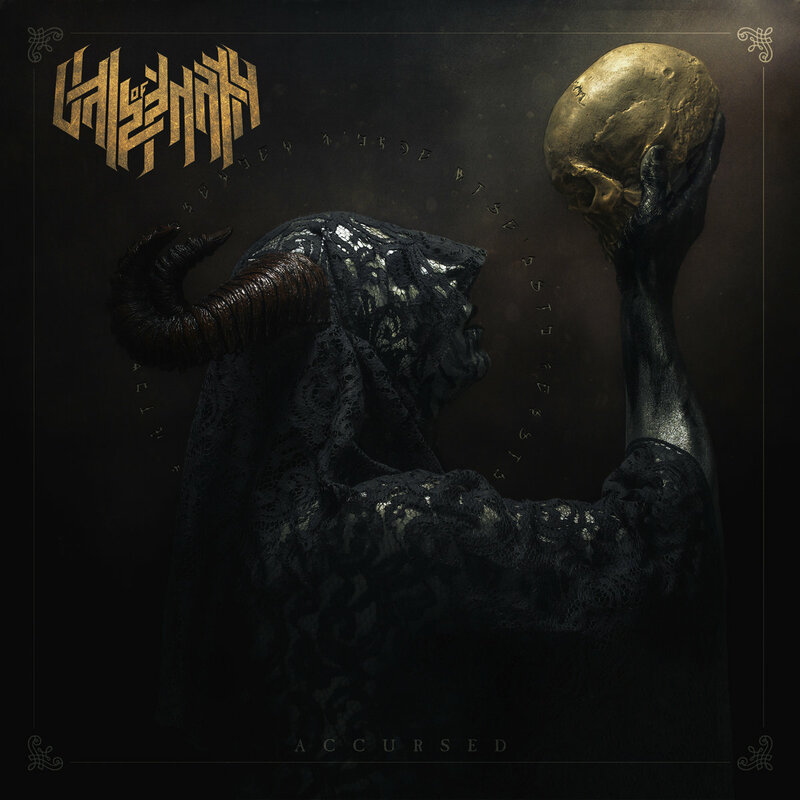 This entry was posted in Bands, Death Metal, Progressive Metal, Reviews and tagged 9.5/10, Accursed, Death Metal, EP, technical death, Technical Death Metal, usa, Vale of Pnath.